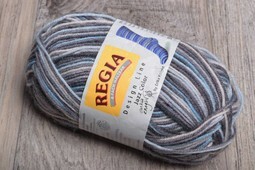 Regia is known for excellent sock yarn & the 4 ply design line is no exception. The palette of self-patterning colors is so much fun to knit. Small 50g skeins are perfect for knitting two socks at a time.